For any new investors or buyers looking for house for sale in Malaysia, the multiplicity of property types and names can set their heads spinning. 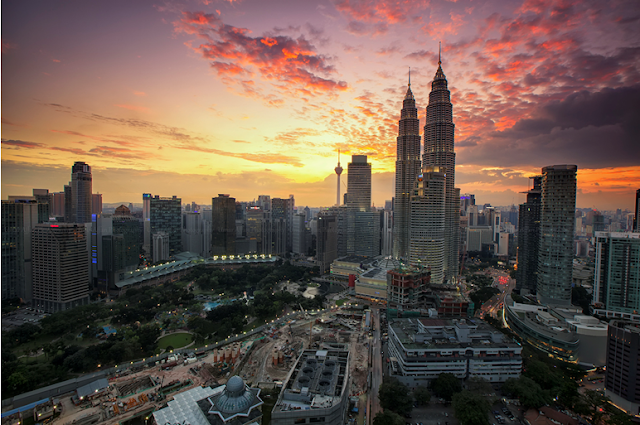 Besides being based on quality development, the Malaysia’s property market lately feels like more of a name game, resulting in much-unanswered questions and confusion among the property market newcomers. From names such as SoHo, SoFo, SoVo, VOS, to other names such as link homes, cluster lots and super link homes, they seem to keep popping up from left and right. 10 years ago, these names did not exist and the property market was less complicated. It is important to understand the various types of property in Malaysia because these differences have significant implications for buyers and investors. These 4 types of houses though different, share a common factor; they are small house units and share similarities in terms of context. SoHos (Small Office Home Office) and SoVos (Small Office Versatile Office) are typically located in commercial areas because they target individuals who need integrate offices into their residential homes. SoFo can be termed as a small home office, where the owner is free to choose the rooms he/she can use as office space and the ones to use as home space. SoVo (Small Office Versatile Office), SoFo (Small Office Flexible Office) and VOS (Versatile Office Suites) on the other hand are more versatile and fully equipped with office facilities. Thus, owners can renovate the house or increase office space as they wish. The only disadvantage is that the owner is likely to be charged the utility bills based on commercial rates. Apartment may mean different things in different parts of Malaysia. They can be referred to as units in multi-storied buildings mainly found in major cities and towns throughout the country. Mid-sized apartments are a staple favourite, because they are not only affordable but also offer increased security with guards and gates, and basic facilities such as landscaping, playgrounds, and at times very basic sports facilities such as swimming pools. A typical apartment comes with 2 bathrooms, 2 to 3 bedrooms, and an inside car park space. Flats are the economy versions of apartments. They are high rise buildings typically 5 floors high. Because they are low end, tenants do not enjoy the luxury of having a lift, security guards, indoor packing, and other amenities such as playgrounds and swimming pools. A bungalow is a standalone house with a residential title or rather a house that sits on its own land. They are high-end houses with numerous private amenities and facilities within the parcel of land. Buildings are not joined together thus there is often big spaces or a big yard to fit amenities such as a swimming pool, parking, playground among other amenities. Bungalows vary in price depending with the size, locality, and variation. Penthouses are amongst affluent dwellings in Malaysia. They are found in high rise buildings and skyscrapers and are often referred to as bungalows in the sky. They are the topmost units of serviced apartments or condominiums that typically occupy an entire floor with no neighbors. They also have a private lift lobby. Some are single story units, but more recently there are more at least double storey units with extravagant facilities and amenities such as private swimming pools among other things. Also referred to as condos, they are the fancy and more affluent versions of apartments. Besides having security systems, swimming pools, and gyms found in apartments, condominiums can come with club houses, pool villas, sports facilities, game rooms, saunas, landscaping and more. There are higher end condominiums referred to as “serviced” condominiums. This means that they offer services similar to that of a hotel. In other words, the units are fully or partly furnished and services such as housekeeping and front desk concierge is available. Regardless of the unit type, they are owned by private individuals; however the outdoor amenities are jointly owned or shared by the tenants. Thus no single owner governs the building; in some cases some condos are managed by condo community’s homeowner association. Because they have to shared spaces and amenities, there are strict rules regarding use and care of these facilities. They are constructed in a row of mirror-image or identical houses that share side walls. The first and last of these houses in the row are called an end house or end terrace, or corner house, and are typically bigger than the middle houses. They have open spaces in the front and the back to serve as parking space, yard or playground. A row is made up of 10 to 12 units. Townhouses share great similarities with terrace houses because they are identical in appearance and are separated by a common wall. They have 2 houses on top of one another, and are built in a row similar to terrace houses. Townhouses have more superior amenities and facilities such as tennis courts, swimming pools, or children’s playground. These two mean more or less the same thing. These are commercial premises or rooms that are rented to offer commercial services. Shops are lots situated in commercial areas while retail lots are shop lots situated in shopping malls. Both can be sold by the owner to buyers or can be retained by the owner to be leased out. With numerous varying property types out there and as new categories continue to emerge each day; it is hard for the first-time homebuyers to keep up with the trends. This is the reason why we have taken the initiative to educate you on how to differentiate between various types of property in Malaysia. Though the above list is not exhaustive, it provides insight on the most commonly available properties in the market, and will set you on the right path to acquire a house that is not only within your budget but also suits your needs. It is also imperative to note that though some properties may seem to have subtle physical differences, the implications for investors and buyers can matter a great deal. Thus, ensure you know the ?what’s and the what-not’s’ before you make any property-related decision.